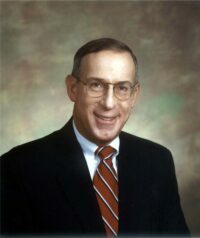 Martin B. Ellis joined the Firm in October 1999 as a shareholder. He is a member of the Firm’s Corporate and Financial Services Department. Mr. Ellis specializes in all aspects of bank and thrift representation, including regulatory matters; consumer, commercial, real estate and wholesale finance, corporate and general business transactions; workouts, restructuring and bankruptcy; administrative agency hearings (zoning and liquor licenses); and banking and commercial litigation. Prior to joining the Firm, Mr. Ellis practiced at several Baltimore law firms handling such diverse matters as the acquisition, renovation, leasing and ultimately sale of a major Baltimore Inner Harbor hotel/restaurant complex; the sale and acquisition of a number of businesses, including several bar/restaurants; numerous innovative business contracts and agreements in the telecommunications industry; and a myriad of banking, business and real estate contracts, forms and agreements. Mr. Ellis also served as principal banking/regulatory counsel to the then newly created State of Maryland Deposit Insurance Fund in its capacity as receiver of the largest of the failed thrifts during Maryland’s mid-80’s savings and loan crisis, earning commendations from the Governors of Maryland and Delaware for resolving ownership/operational issues for a Maryland Eastern Shore tomato cannery. Mr. Ellis also drafted Maryland corrective savings and loan legislation. In addition, Mr. Ellis was formerly Senior Vice President and General Counsel of a $1.5 billion Baltimore-based, regional national bank. He has been recognized as an expert in federal and state consumer credit regulation, as well as commercial loan documentation. Mr. Ellis is co-author of “The Electronic Fund Transfer Act and Federal Reserve Board Regulation E: A Compliance Guide for Financial Institutions,” Prentice-Hall, 1983. He has been a frequent lecturer appearing in a number of programs on behalf of the Maryland Association of Mortgage Brokers and the Pennsylvania Association of Mortgage Bankers, addressing such topics as Fair Lending Laws, the Uniform Commercial Code and Electronic Banking Laws, as well as the Maryland Institute for Continuing Professional Education of Lawyers, Inc., addressing such topics as Maryland’s Mortgage Lender Laws; Secured Transactions under the Uniform Commercial Code; the ABC’s of Conservatorship and Receivership of Failing and Failed Banks; and the Auto Dealers’ Institute. He has written extensively in all of these areas of the law. Mr. Ellis is past Chairman of the Consumer Credit Committee of the Business Law Section of the Maryland State Bar Association, is a member of the Business Law Section of the Maryland State and American Bar Associations and is a member of the Baltimore County Bar Association. Mr. Ellis is admitted to practice law in Maryland, and before the United States Supreme Court, the Fourth Circuit Court of Appeals, the United States District Courts and Bankruptcy Courts for the District of Maryland, as well as the Maryland Court of Appeals and all other state courts in Maryland. Mr. Ellis received his Juris Doctorate, with honors, from the University of Maryland. He was named to the Order of the Coif and received two American Jurisprudence Awards in Criminal Law and Civil Procedure. Mr. Ellis received a Bachelor of Science degree in Architecture from the University of Cincinnati.